With plenty of sunshine, beautiful warm seas, refreshing sea breezes and a warm climate all year round, Port Douglas weather is hard to beat. Port Douglas weather has 2 distinct seasons; a winter period of warm temperatures and low rainfall, and a summer period of balmy temperatures and high rainfall. Winter (Dry season) starts in May and finishes in October offering sunshine, fresh breezes and relatively low humidity. Summer (Wet season) extends from November to April and refreshes the region with tropical downpours often in the afternoon and occasional dramatic electrical storms. Ocean water temperatures range from 23 degrees Celsius in July to 29 degrees Celsius in February. 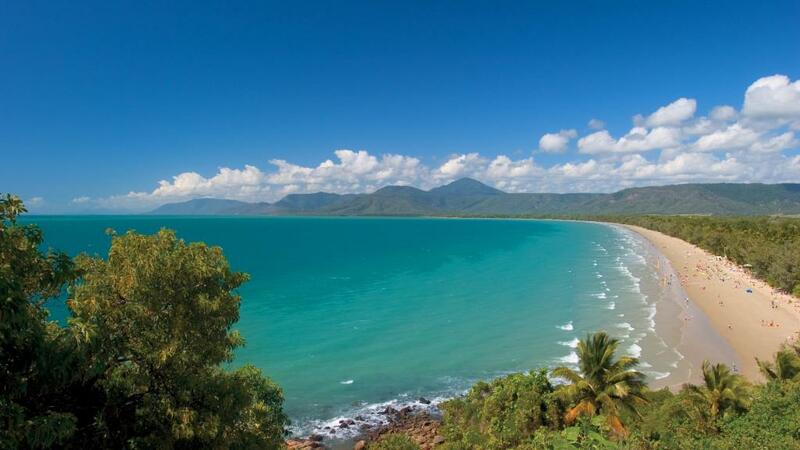 Thanks to the beautiful Port Douglas weather you can swim all year round. The 'best' swimming season runs between April and October. Between the months of November and March, Port Douglas is home to the box jellyfish, so special swimming enclosures are erected at popular beaches to protect swimmers. Note: When swimming in Australia it is recommended you swim at beaches patrolled by Lifesavers and to swim between the flags. When in the sun apply a good quality sunscreen, wear a hat and avoid dehydration by drinking plenty of water! Port Douglas weather temperatures are recorded as average maximums and average minimums per month in the table below. Port Douglas has an average rainfall of 2010mm (average 168mm per month). For more information on Port Douglas weather please visit the Bureau of Meteorology web site. The Bureau of Meteorology is responsible for the functions of a National Meteorological Service including the provision of monitoring, research and services in the public interest.